It can seem like a landscape frozen in time in Antarctica, but it’s anything but. And one place has been keeping meticulous records of the changes for 50 years, reports CBS News correspondent Mark Phillips. 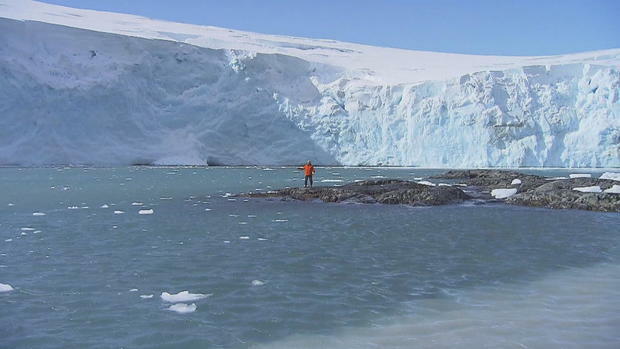 At Palmer Station, about 40 people work at a U.S. research base that has clung to this rocky outcrop on the Antarctic coast since the mid-1960s. Bob Farrell has run the station for the past 18 years. If anybody knows how things have been changing here, it’s him. “It changes all the time. I mean, day to day it changes,” Farrell said. Palmer was put here because it was a great place to study Antarctic wildlife. It sat in the middle of the perfect habitat for the Adelie penguin, who nested here in their tens of thousands. These are the birds that brought you “Happy Feet.” But they don’t seem happy any more. “We’re counting the penguins every year,” said Shawn Farry. He is called the “bird man.” But lately, he’s had a lot fewer birds to study. “These local islands where we’ve been censusing for – it’s 43 years now -- have declined by about 85 percent,” Farry said. “The numbers on this island at their peak were almost 9,000 and this year, it was about 1,200,” Farry said. 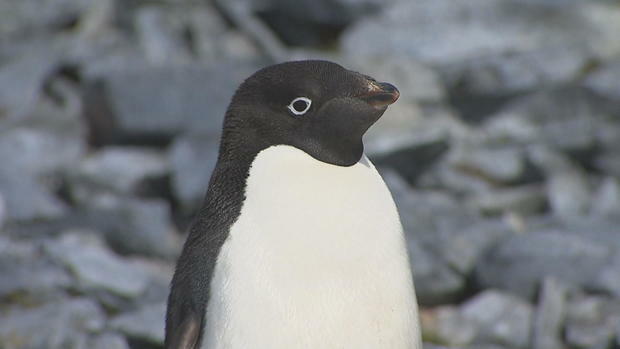 The Adelie penguins need one essential condition to thrive. They need sea ice to hunt from, and there’s less of that around now. “In the last several decades, the amount of ice along the peninsula declined by about, well, three months of sea ice,” Farry said. “The sea ice season is three months shorter than it used to be?” Phillips asked. At first, it was hoped the penguins had simply moved further south into the Antarctic in search of the ice they love. Sadly, it seems not. “We do work other places down the peninsula looking for them,” Farry said. “You’re not finding them?” Phillips asked. “Correct. We’re not finding them,” Farry said. Not just the sea ice is retreating at Palmer. The base is next door to a spectacular glacier that is less spectacular than it used to be. They’ve got a photograph showing the extent of the glacial ice in 1975 and where it had retreated to by 2013. Then a funny thing happened. Normally in places like this, you talk about things moving at glacial speed, taking their time -- not here. Here they know exactly when that glacier split off from this place. On March 14, 2014, this became Detrich Island. They had thought the island was part of the mainland, until the glacier linking it to the shore collapsed and disappeared. The speed of change has shocked even Farrell, the old Antarctica hand. They’ve got a little bet going on Palmer Station where they’ve always thought the base was on the mainland. Now they think it may actual be on an island. They may not have to wait long to find out.